How does stay to play work? We get a family rate at certain hotels but some of the tournaments have the stay to play policy so we could potentially being paying twice as much which is killing me. I don't want to cause the team to get any sort of penalty either. 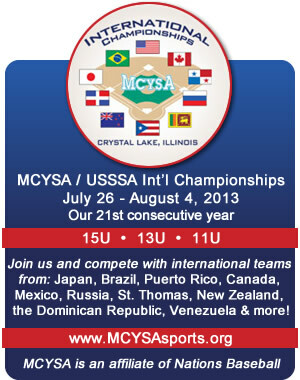 One is a pastime tournament, the others are in the great lakes area. These tournaments must make a killing - between team fees, entrance fees, parking fees, and hotel kickbacks?? Yes......do the math sometime. I wonder why I'm in Finance..........but at 53, it's a bit late for a career change. I did our team's hotels for a couple of years. The rules are different depending on the tournament. They always accept that some people will be staying with friends or family, or camping. In most cases they have some rule - in one case it was that you had to have enough tournament-organized rooms to hold the entire team (@4-to-a-room) plus the coach. Thus, if you had a 20-person team, you had to have 6 rooms (5@4 +1) booked through the tournament. Doesn't mean that the players had to stay there, just that you had to have 6 rooms. We always had enough people staying, and we also always had some people with reward points or something. It worked out, although I did occasionally get contacted by a tournament official to ask where everyone was staying, sometimes I had to account for everyone. Your hotel coordinator can ask about each tournament. It was a thankless job to get people to make their reservations, and I always appreciated it when someone told me why they weren't staying in our hotel. For most tournaments, the rates that you get at the hotels are, in fact, better than any rate that you can get online (I checked! ), although there are exceptions. But I agree that overall it seems like a big money grab.